Today’s reader feature is this Gorgeous Vintage Teapot Card, submitted by our friend Esther Asbury. Esther added our Vintage Teapot image as the main focal point of this beautiful card. 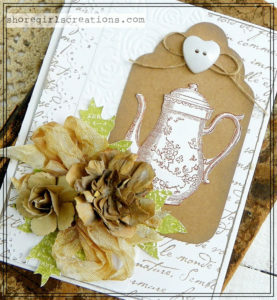 Some of the materials that she used to create this card include homemade flowers, crinkled ribbon, burlap string bow, a heart button, 2 stamped flowers, and a stamped white card stock with script. This is such a lovely project! Thank you, Esther, for sharing your talents with us! 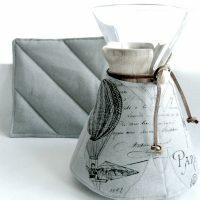 To visit more of Esther’s projects, please visit her Blog site here. To learn how to transfer images yourself, visit the Transfer Methods Page. 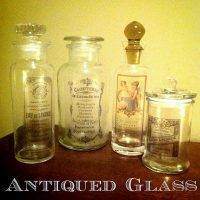 « Vintage Glass Door Knob Image! Thanks so much for the feature, Sherry! I’m honored! 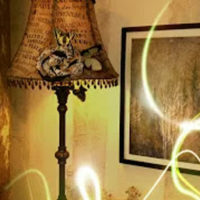 I love using Graphics Fairy images in my card making – this is my first stop when I need a vintage image! Thanks for sharing your wonderful graphics with us! 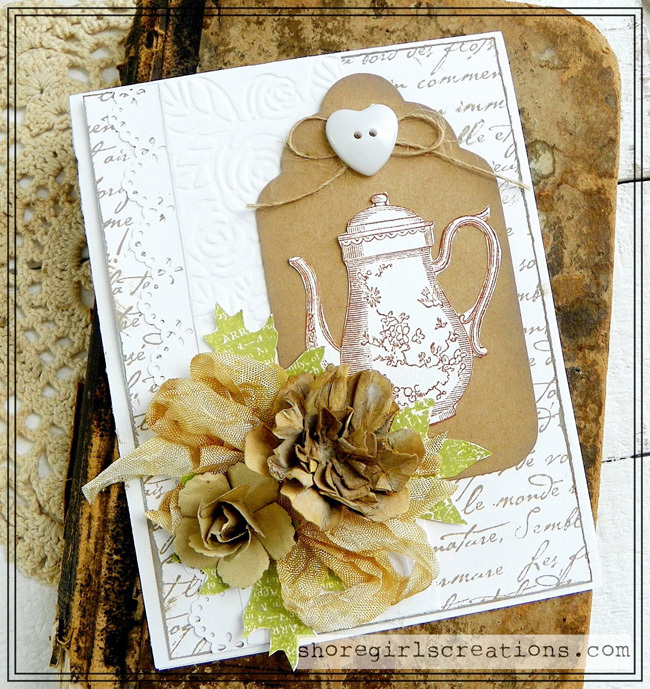 Thank you for your beautiful Teapot card project Esther!! !